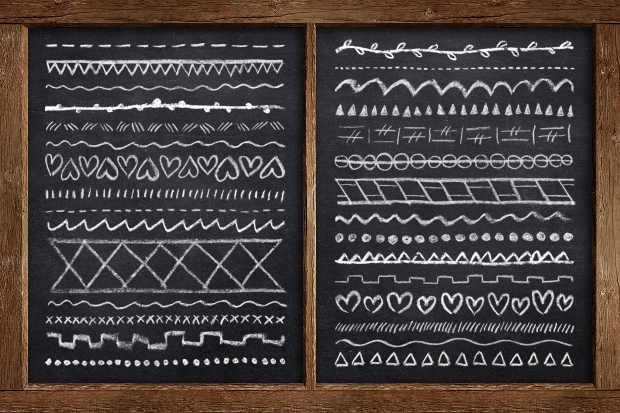 A growing trend among creative designers, chalk brushes have been particularly helpful in creating new textures, coming up with unique patterns and give a whole new mood to any artwork/illustration. In fact traditional chalk designs have been an incredible way to create depth in images. Now applied digitally, the range of applications have in fact increased. 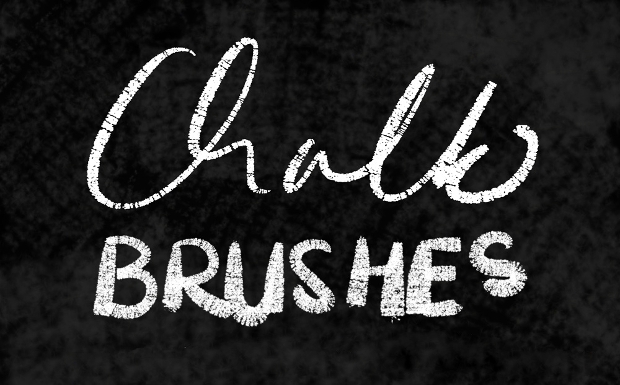 If you too are open to experimenting with some chalky effect in your graphic design work, here’s an excellent collection of brushes to get started with. As artists, we all have grown up with pastels, chalks and crayons. Well, it time to revisit those days and bring in uniqueness to your more mature artwork but with the same tools. The brushes in this set offer some really chalky pastel effect and anything can turn into a masterpiece now! Just keep on experimenting. 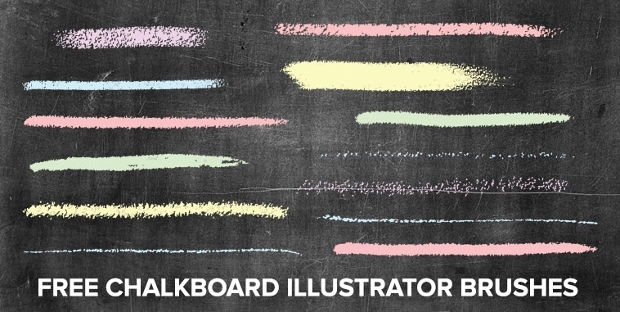 Revisiting the glory days of childhood and lessons learn with chalk and blackboards, here’s a perfect toolset to recreate magic. 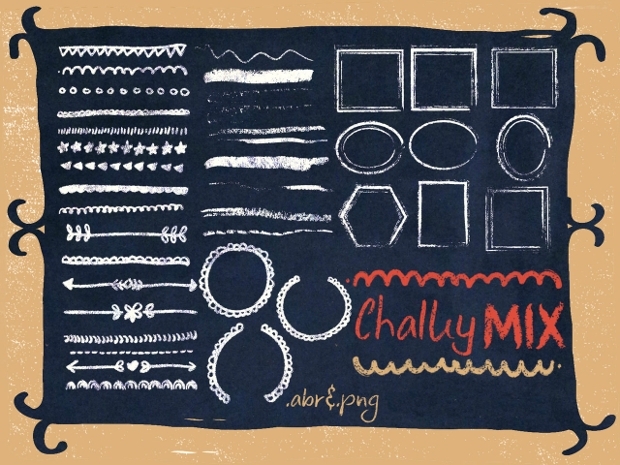 Consisting of seven different chalk brushes, this would be a seriously incredible pack for all designers, artists, scrap bookers, crafter and other creative people. 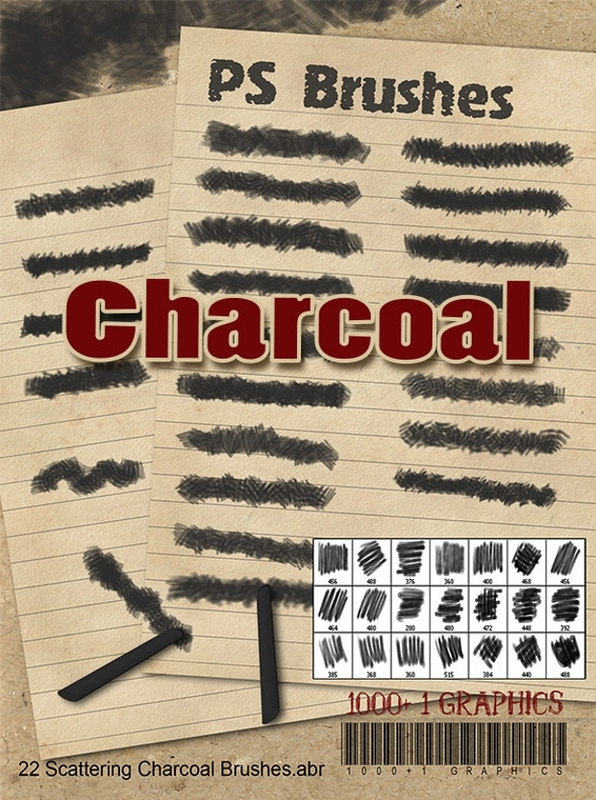 An incredible set of 26 unique chalk and charcoal brushes, this gives amazing potential to any designer. 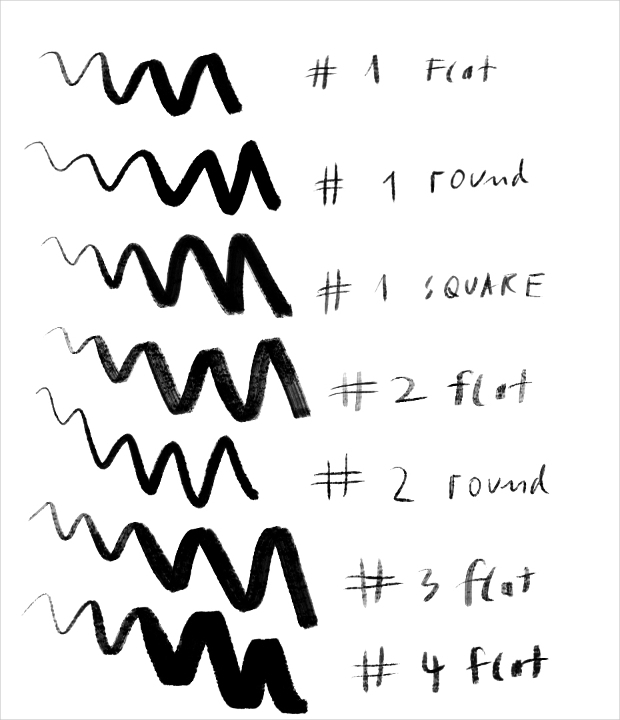 You have the option of adjusting each brush’s stroke size and color to make each stroke unique. A perfect addition to the kit of any serious graphic designer! 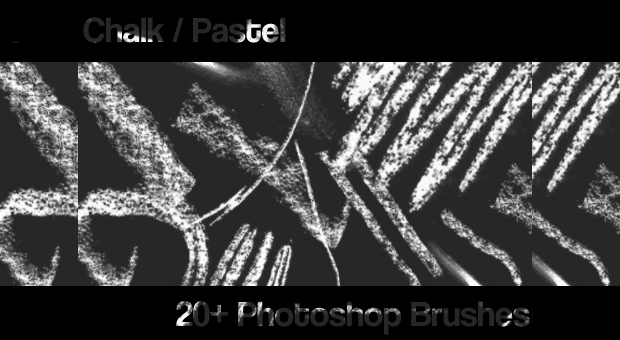 A collection of one hundred and thirty three chalk and crayon brushes; this would be the ultimate design tool for any Photoshop artist! 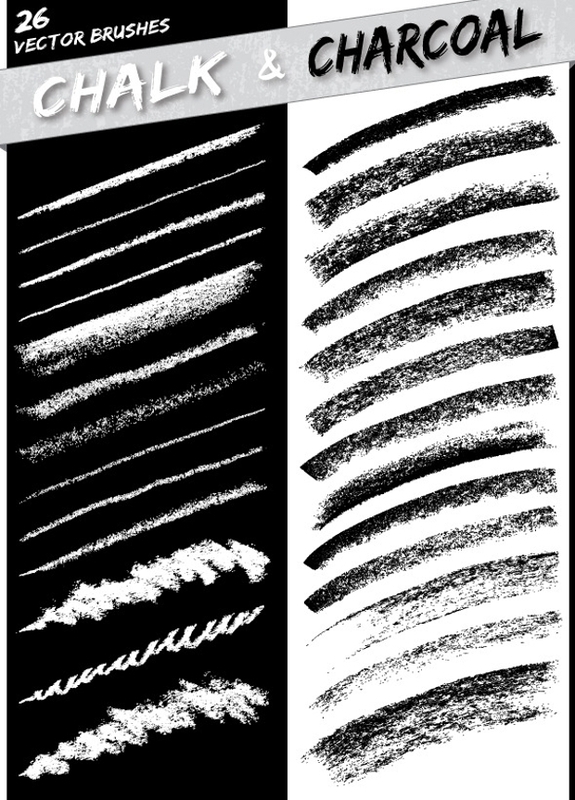 The brushes range from mere lines to ribbons, borders, flourishes and slashes. Automatically, there would be endless possibilities once you get to know each and every brush in this set. 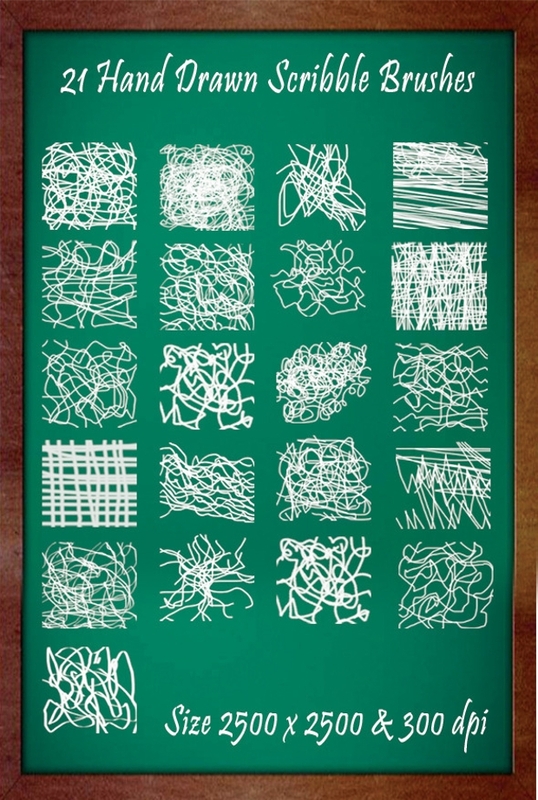 This is a very relevant brush set if you are looking for something to imitate original handwriting. Easy to use, completely adjustable and very high quality, this is specialization at its best! 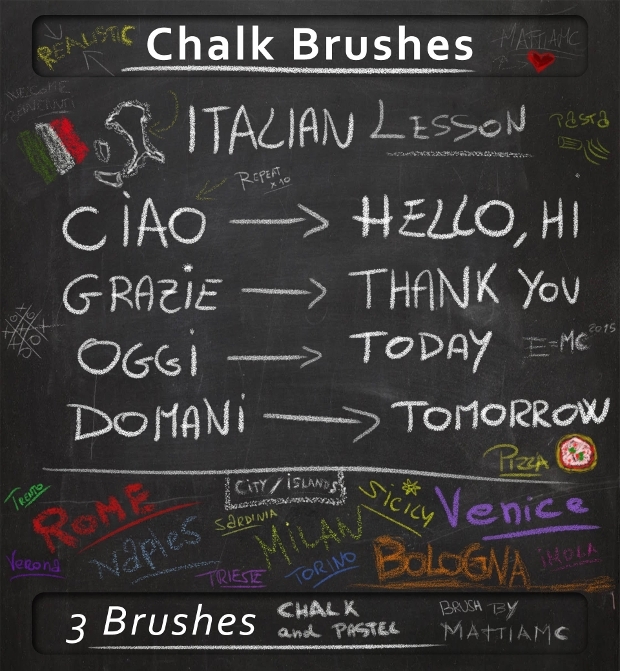 Chalk has been among the most sought medium for a range of artwork including sketches, illustrations, cartoons, menu boards, and more. 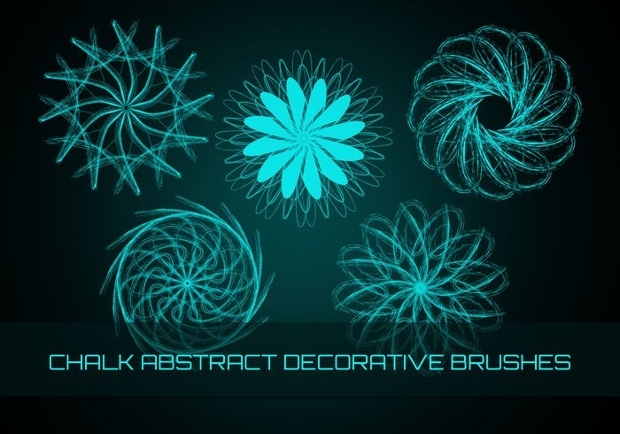 Well, if you have been trying to recreate the visuals digitally, this brush set will be the ideal choice. Offering a range of strokes, textures and effects, you are free to experiment and get creative! Sepia pencils could be an amazing tool to adding interesting tones to your illustrations, even digitally. 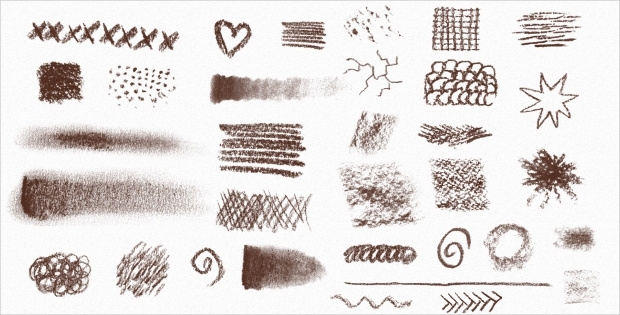 Well, here’s a set of 26 brushes that dedicate themselves to imitating the texture and tones created by sepia pencils and chalks (both neat and blunt ones). You can always adjust the brush size to meet your requirements. Chalky backgrounds can be serious amazing effects when looking for web icons. Well, here are 11 such special icons that can rightly establish the mood of you new web design project. Wherever you choose to use it, make sure it is special! 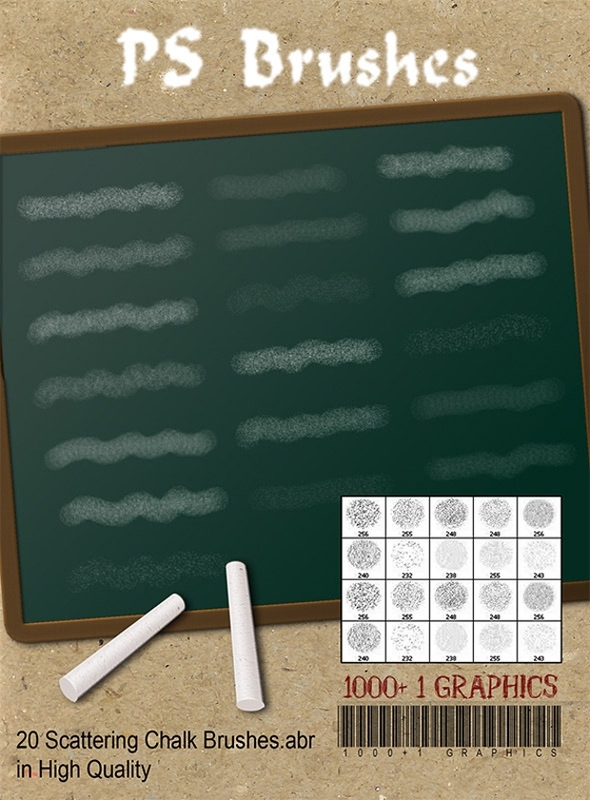 Talking about a scribbled blackboard and the memories it brings back, here’s perfect tool to relive those days. 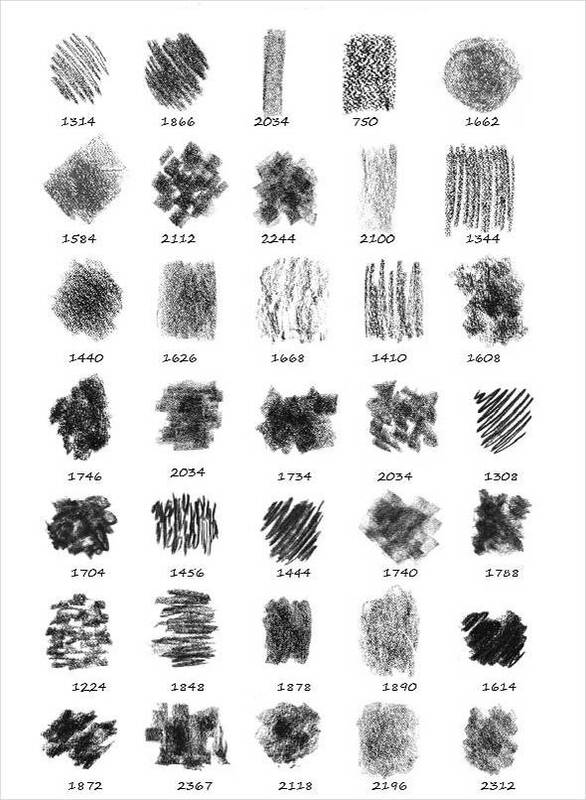 This incredible set of scribble Photoshop brushes will be an asset for any graphic designer. Available in high quality 300 dpi resolution, you always have the option to adjust the stroke size and color. Have you always felt that the pencil makes more interesting drawings than the cursor of your mouse? Well, things are going to change slightly! 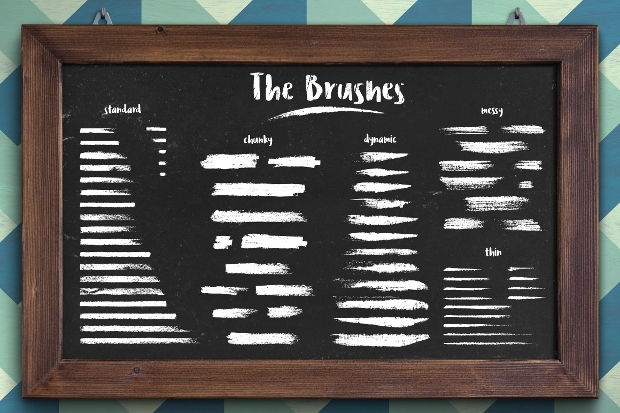 This brush set of meant to bring back the experience of writing with chalk on an expansive blackboard while everyone’s staring! Create some magic, will you! 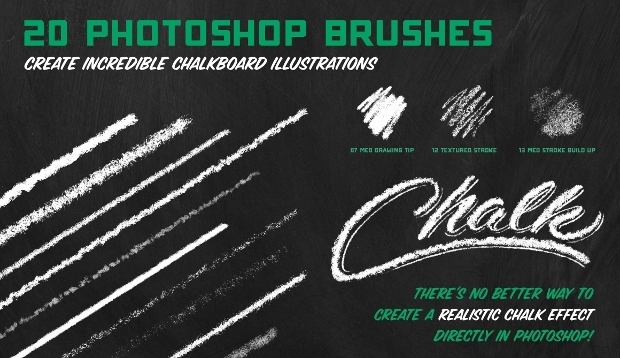 We sincerely hope that these unique chalk brushes for Photoshop have been able to stir your creativity and gave you new cues into art. We would love to see how you make use of these brushes.